It's the third Monday of February and time to get to know another fascinating artisan! My fifth in-depth interview for the Etsy NY blog series "A Crafty Life" focuses on Nordea McKoy of Nordea Soaperie. I joined the team appropriately two years ago after Nordea urged me to become a member. Nordea and I shared a booth at a local market in 2010. We got along famously and she offered a second chance at a share a few months later. She said the team would be a great help to me and she was right. Originally from White Plains, NY, Nordea has a great personality, a bright smile, an infectious laugh, and an uncanny knack for building a business. As her company name indicates, Nordea makes soap: unique body bars, body oils, and felted soaps. In addition, this savvy multitasker offers a wide range of products. Although I already knew quite a bit about this attractive bundle of energy, I got to know even more during this interview. Like last month's interviewee, Beth Shorr of bshorr handmade, you also work in the television industry. How and why did you decide to start making soap? How did you know that this was it, that you wanted to build an indie business around soap? I am a freelance associate director for TV news. In spring of 2004, I moved from my tiny apartment in Hell's Kitchen to my current apartment in Harlem, the "upper" Upper West Side. While exploring the neighborhood, I noticed quite a number of street vendors selling tubs of Shea butter. I bought some and liked the way it felt on my skin. Fast forward a few months later. I made the decision to stop chemically straightening my hair. I started mixing the Shea butter with other ingredients, like aloe juice, as I was looking for different and natural ways to care for my hair. Making soap kind of happened by accident. I came across a soap recipe online and figured I might try it out. I only started to sell the soap to friends and family when I had more soap than I could use. Word of mouth started spreading and I started to get emails asking about the different kinds of soaps that were available. It became rather tedious constantly answering the emails, so I decided to build a website. I bought an HTML instructional book and figured out how to code the site. Before I knew it, my business was up and running. Wow! That's a great story. So your business kind of found you. My experience was pretty much the opposite; I was looking for a business to start. 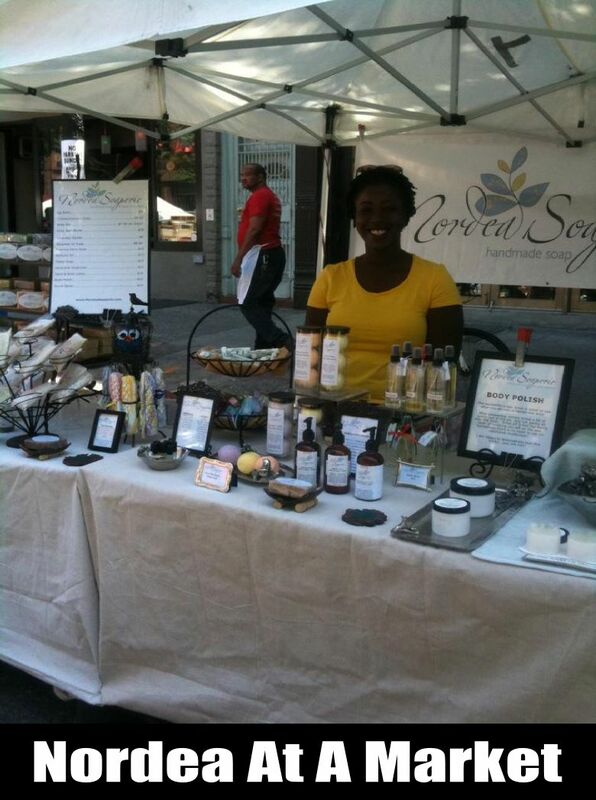 I love that your business started in an organic and natural way just as your natural hair journey began. So you didn't have a teacher who inspired you? Was there an existing company you looked to when you first started? No teacher. Everything is self-taught. I searched online and found basic recipes, like 100% olive oil soap. I researched and learned about the soap-making process (a cool science lesson! ), oil properties, and what different ingredients could add to the soap. My current recipes are the result of endless testing and many, many experimental batches. The internet has helped me so much, too. What would we do without it? 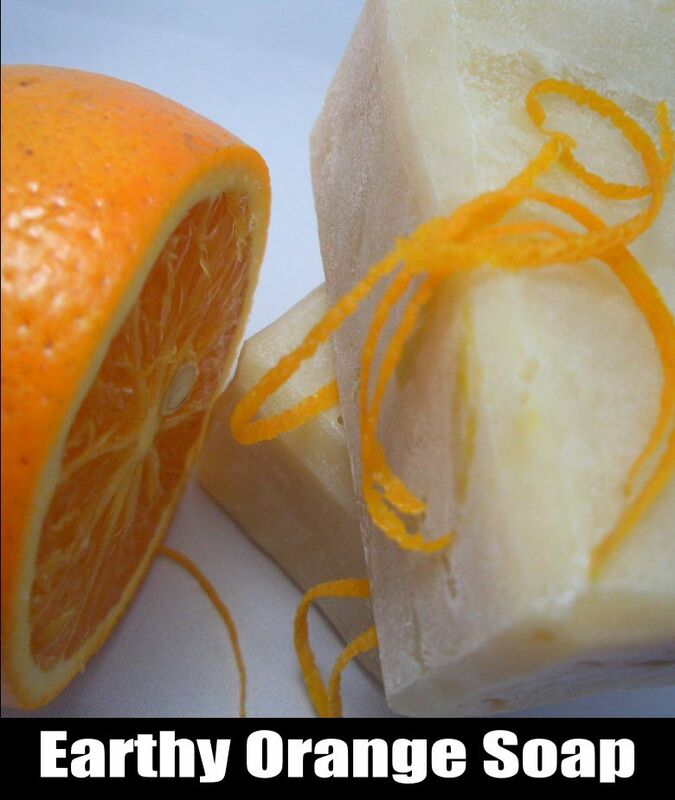 I love hearing about your creative process, especially since your soaps are truly distinctive. I'm struck by the interesting ingredients and blends. Have you always had a strong affinity for fragrances? How do you design your bases? I have about two or three base recipes. The major differences would be fragrances and additives--clay, colors, etc. I came up with these bases by testing different formulas and settling on the ones I liked. People often don't understand how much work goes into a product BEFORE they discover it at a market or online. So much trial and error is involved. You seem to have a great feel for product development and innovation. How do you do it? And when do you know it's time to add a new blend? I have about ten soaps that I offer all the time. I also have about ten seasonal blends, like my banana soap or zesty green tea soap. I may stop making a certain blend if it doesn't sell well or if I want to make room for something new. I am not really inspired by certain fragrances, but if I get requests from customers, I may consider making a new blend. I will dip Q-Tips in fragrances, then seal them in a small jar. I wait for the scents to meld, then sniff again, adding more Q-Tips until the blend is just right. This can take a few days, or even a week. Once the blend is perfect, I will make soap, perfume, or whatever I want. The old saying "the nose knows" certainly applies to you. You mentioned that you're not particularly inspired by other--I'm assuming "commercial"--fragrances. What does inspires you? I am inspired by my love of cooking. I love Thai food, so I learned how to make it myself. I wanted good soap, so I taught myself how to make it. Making soap is simply following a recipe. I also enjoy using unusual ingredients like beer, bananas, and cucumbers. 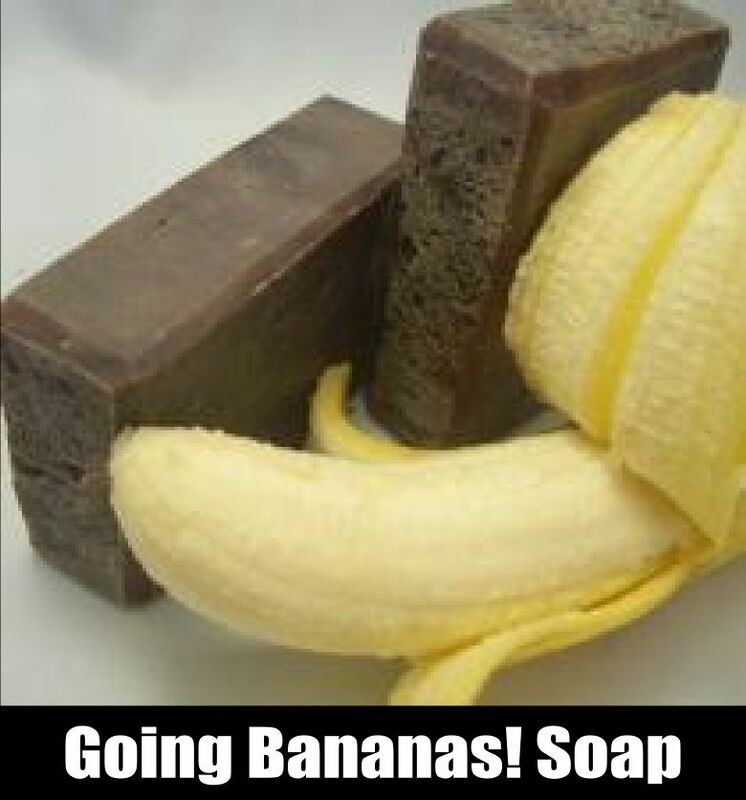 Incorporating food items into my soaps is just a way to walk outside of the box and offer a unique product to my customers. You're so passionate about your creations and it shows. Your felted bars are extremely popular. How do you create them? And how do you use them? 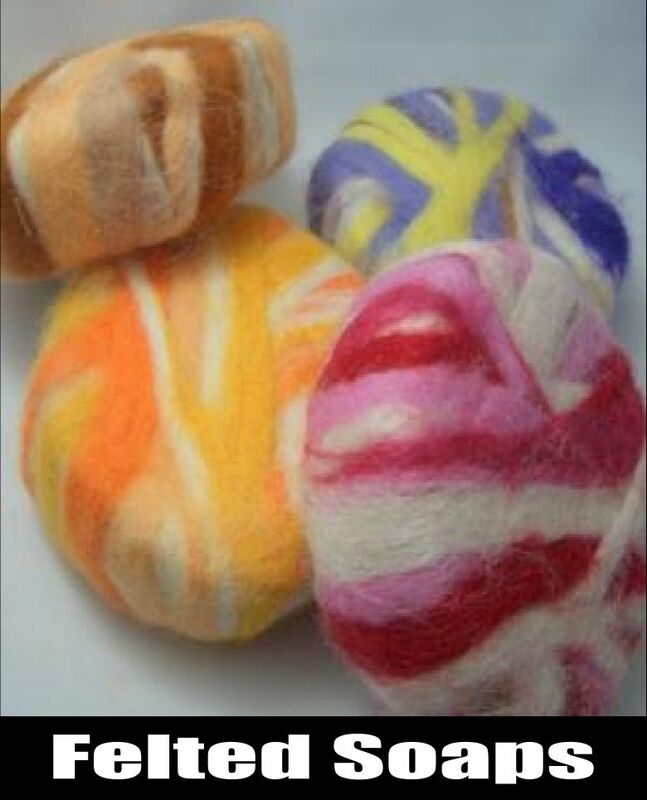 Felted soap is made by wrapping the soap in wool roving. The combination of hot water and friction results in the wool covering shrinking and forming a tight cover for the soap. This cover is like a soft colorful washcloth. You wet the soap and use it. That's all. It lathers up just like it should. Color plays an important role in your products. Please tell us about your process. There are a few different ways to color soap. Many times, a certain fragrance can change the color of soap. Blends that include vanilla are notorious for turning soap brown, so I may add something called TD (titanium dioxide) to lessen the brown affect. I also tend to use clays and oxide colors to make basic colors. Green is an easy color to achieve by using green oxide, but adding a titch of black oxide will result in a nice army green, which I use in my GI Jamie soap. It's basically experimenting--and taking good notes--until you get the desired results. Fascinating! 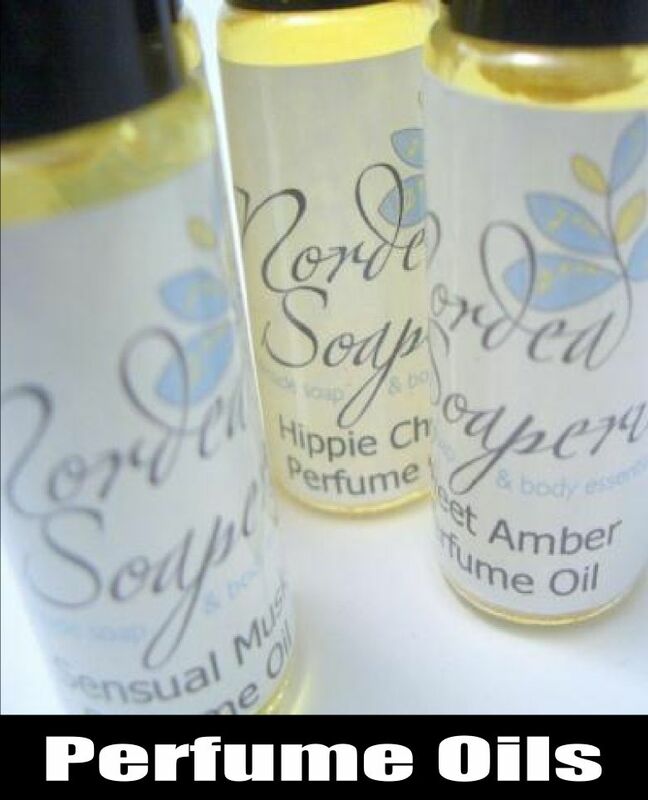 You not only create wonderful soaps, but you also offer perfume oils. I know because one of my favorites is the musk oil. How did you decide to move in this direction? The perfume oils were just a natural progression since I already had most of the ingredients from soap making and, of course, I had requests from my customers. Many of them wanted a scent to wear long after the soap fragrance faded after a shower, so the perfume oils seemed to be the solution. I offer Flowers & Shea, Flower Child (patchouli,) Hippie Chick, Lavender Splash, Sensual Musk, Sandalwood, and Sweet Amber. You're on your way to becoming a mogul! 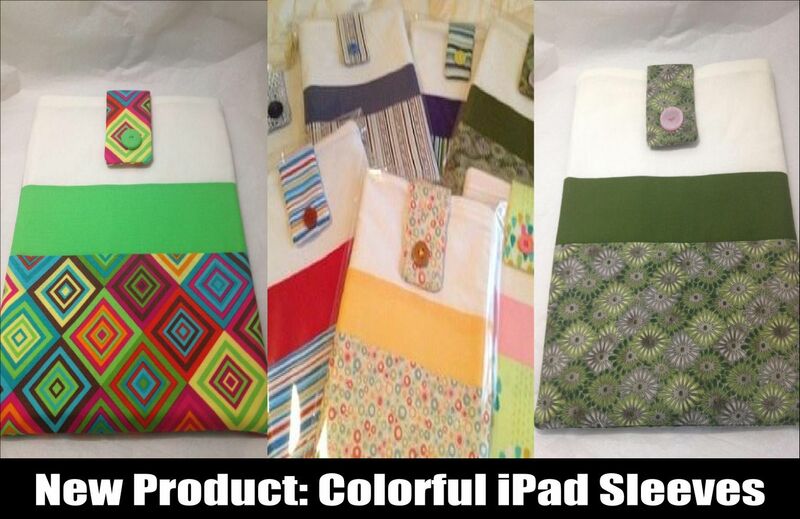 You also offer knitted face cloths, fizzy bath bombs, other body essentials, and now handcrafted iPad sleeves. I learned how to knit years ago, taught by a co-worker. The wash cloths I make seemed like a nice addition to my product line. They were also something that I could make while I was at craft fairs. 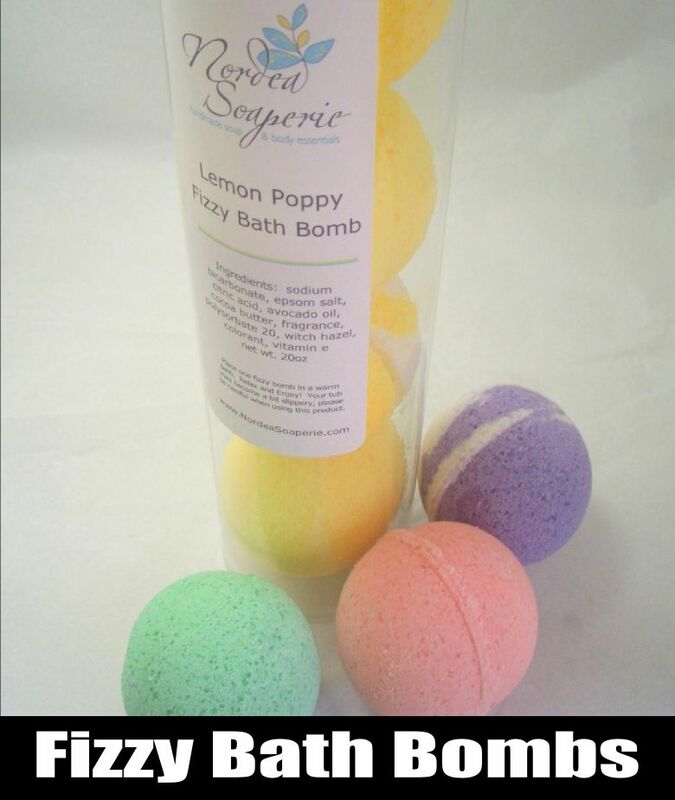 I also make a lot of other items such as lip balms, lotion, and fizzy bath bombs. The iPad sleeves seem a bit random, but I made one for myself, and really enjoyed sewing. So I decided to make more to sell. You've been able to build an extremely loyal fanbase. Please tell our readers how you did it and what you think works best. I participate in a lot of craft fairs during the year. I find that it is a great opportunity for customers to check out my products in person. They can smell the soaps, try the lotion, etc. Sometimes it is difficult to attract new customers online because they can't smell anything. I also have a newsletter that I send out weekly. I don't have a blog, so I use my newsletter to inform customers about new blends, new products, and, of course, letting them know when and where they can find me at local craft fairs. I've seen you in action at craft fairs. You have a way of drawing people into your well-designed booth. Are these shows your mainstay? How do you fare on Etsy? Do you get online sales from your website? Have you jumped into the wholesale pool? I make most of my sales at craft fairs. I can directly interact with customers and answer any questions they may have. Most of my online sales are from repeat customers, or maybe someone who received my products as a gift. I rarely get orders on Etsy. That marketplace is saturated with other soapers who may be selling their soap for considerably less money. I just can't compete with a hobbyist who may be just interested in recouping their costs. I have more success with my own site, so that is what I concentrate on. I have had a few wholesale accounts and would like more, but I have not really put much effort in. That is another goal I have for 2013. You seem to have an instinct for building a brand. What is your philosophy regarding branding? How does packaging contribute to branding? I contacted a graphic artist to make my current logo. I told her the type of art I wanted, and she was fantastic about providing a few different options. I have my logo on just about everything--down to the free samples I sometimes give out. I also make sure to have my website on any packaging, so a customer can easily find me to order more products. Once I make a product, I figure out the most effective packaging that will showcase the product. For example, I shrink wrap my soaps, but leave the sides open so a customer can easily smell them. We've talked in the past about what having a handmade business can do to one's small NYC apartment. Are you still working out of your apartment? Do you think you'll expand to a studio? I have a two-bedroom apartment, so one room is dedicated to my craft. My computer is in there, along with many ingredients and packaging materials. I would love to have studio space, but that would mean more overhead. If I did get studio space, I would want it to be nearby. I often get inspired at odd times, so making a batch of soap at 3am is not unusual for me. I can definintely relate. I regularly take a nap and then crochet and graphic design in the middle of the night. I even take photos at weird times. And that brings me to the subject of photography. Your photos are fantastic! They make a bar of soap look like a sensual experience. I use a light box, which can be as simple as a cardboard box with the sides cut out and placed in a window. I use Picassa and other photo-editing software that came with my computer to clean up photos before posting them on my site or Facebook. I know I'm having trouble doing everything. How do you do it? What about time management and your support system? When do you decide to ask for help? My TV work schedule can be pretty erradic. I am a freelancer, so sometimes I work five days a week, and sometimes I get just one day. I have a detailed spreadsheet program, so I can keep track and find out if a specific stocked product is getting low. I just make more products when I get the chance. I do everything myself because I don't trust anyone else to help me. I had to make soaps for a wedding and asked some friends for help packaging them. I am a major perfectionist, and ended up re-wrapping a good number of the soaps because they were not perfect. Sometimes it takes more time to explain a task to someone, so it is simpler to just do it myself. Most of my interviewees are pet owners. What about you? 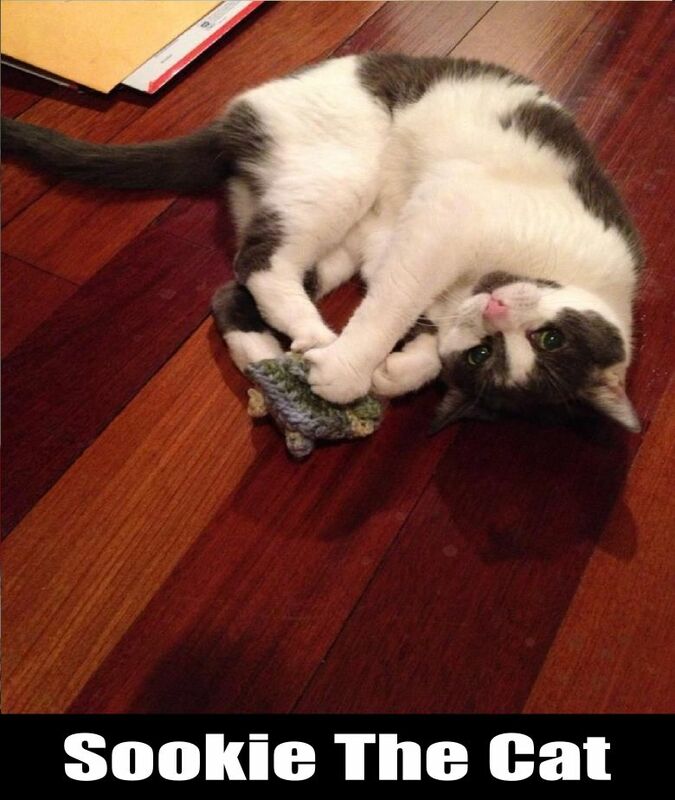 I have a cat who is pretty old and uninterested in what I do. I would love a dog, but that is a lot of responsibility. My cat pretty much takes care of herself, so I don't have to spend a lot of time fussing over her. She is usually sleeping, so I can make products without having her in my way. That would probably change if I decided to make a tuna-scented soap . . . LOL! Sookie is adorable and very photogenic! There are so many aspects to building a business. What about materials? I get most of my materials online. I purchase huge 50-lb. buckets of coconut oil, which is something that I cannot find locally. Same thing with fragrances. I have a few different online shops where I buy fragrances. Sure, I could go to my local health food store and buy an ounce of lemon essential oil. But it is more cost effective to buy a pound online. I do buy basics locally, like olive oil (thanks, Costco! ), distilled water, etc. I also have a great source for Shea butter. A really nice lady from Benin travels home often and brings back huge amounts of Shea butter. She gives me a great price and I feel good knowing that I can support someone who lives in my neighborhood. Five years from now, I will probably still be making soap. Even if I never sold another bar of soap, I know that my skin benefits from handmade soap. 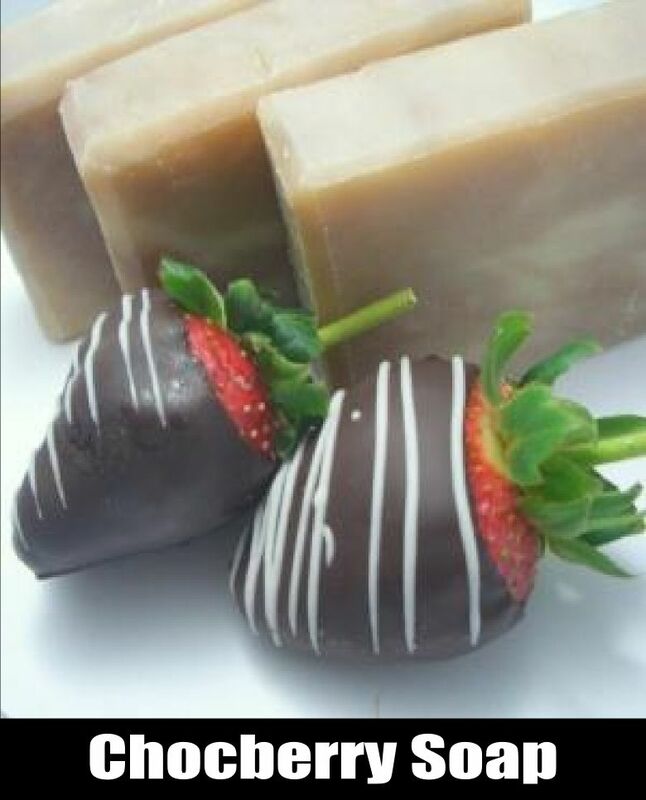 Commercial soap just cannot compare, so I would still make soap for my own personal use. Will I be a household name in five years? I don't know. I can make a fantastic product, but to reach the masses depends on good marketing, which requires money. Maybe if I win the lottery, I can pour more money into marketing. 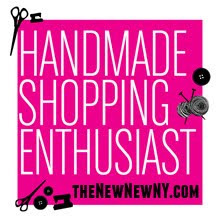 How has being in Etsy NY team helped you? I really like being a part of the Etsy NY team. My regular friends just don't get it and they start to tune out when I start talking "shop." It is nice to be able to talk to "crafty" folks who understand the time and dedication it takes to make, sell, and market a specific product. It is also great to get advice on many topics ranging from marketing, sales tax, building customer base, etc. The advice and friendship I have found amongst team members is fantastic! I want to thank Nordea for an amazing interview! Please be sure to join Nordea's mailing list so you can visit her at a craft fair this year. Good luck, Nordea! I have no doubt you'll be a household name before you know it. The third Monday of March will be here soon, so mark your calendar. You won't want to a single installment of "A Crafty Life." This is Birdy27 signing off. Please support the handmade community. 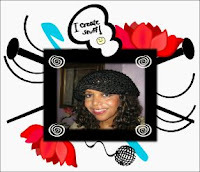 Successful creative artisans can change the world! Happy St. Patrick's Day! Chirp, chirp! Wonderful learning more about Nordea and her amazing products! 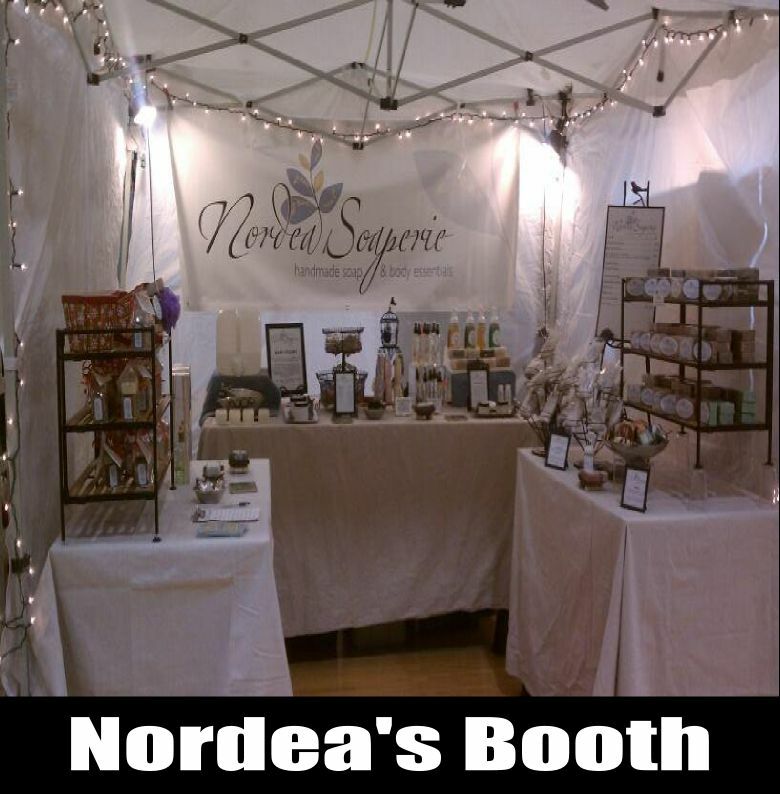 I LOVE visiting Nordea at craft fairs to smell everything! Nordea is one of my favorite people ever and one of the hardest working women out there. She sets a great example of how to run your own business and keep a good head on your shoulders. So glad to see her featured! Great interview! Nordea makes fantastic products and the way she engages her customers at craft fairs has been an inspiration to me. I also loved the cute photo of Sookie.